In this letter, W.D. 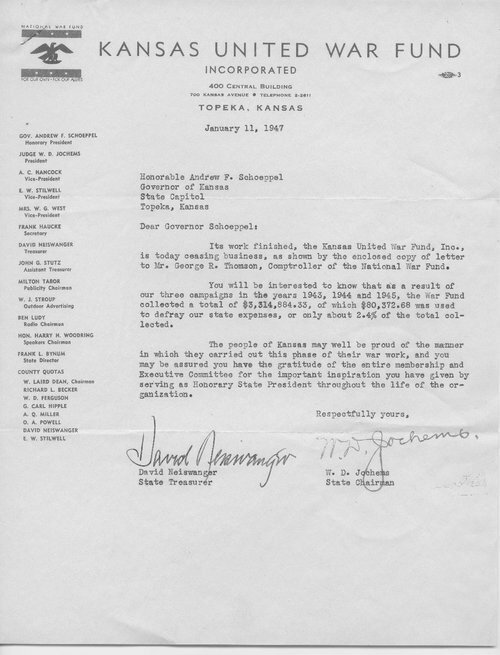 Jochems, State Chairman of the Kansas United War Fund, informs Governor Schoeppel that the Kansas War Fund, Inc. has "its work finished" due to the end of World War II. However, Jochems explains that the KUWF, Inc. brought in a combined total of $3,314,884.33 from 1943 to 1945.